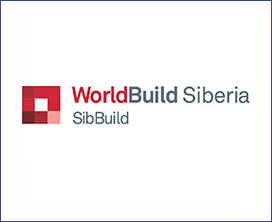 WorldBuild Siberia/SibBuild 2019 is the largest Siberian exhibition of building materials and interior finishes, held on 19–22 February in Novosibirsk. Participation in the exhibition is an effective tool to increase sales of demonstrated building materials and interior finishes through direct talks with multitude of managers and specialists from Siberian wholesale, retail and construction companies interested in purchasing materials for building, interior finishing and repair. Managers and specialists of wholesale, retail and construction companies – visitors of the exhibition – can survey wide range of materials for building, interior finishing and repair, and choose goods for their business within a brief period. Exposition will feature broad range of building materials and interior finishes, sanitary ware, ceramics, doors and locks, flooring, windows and gates, facades and roofing materials, as well as building equipment and tools. 184 companies exhibited at SibBuild/WorldBuild Siberia 2017, and 7 697 visitors came to the exhibition. WorldBuild is the most extensive network of building materials and interior finishes exhibitions held in regions with high activity in the building sphere. In Russia, WorldBuild exhibitions are held in Moscow, St. Petersburg, Novosibirsk, Krasnodar and Yekaterinburg.